Once the global hub for all things bitcoin, China is now doing its best to drive the cryptocurrency out of its territory. After cracking down last year on exchanges where digital currencies are traded, the Chinese government has recently been moving quietly to evict the country's vast community of bitcoin miners. That's forcing them to look into moving to other countries, with Canada attracting a lot of interest. 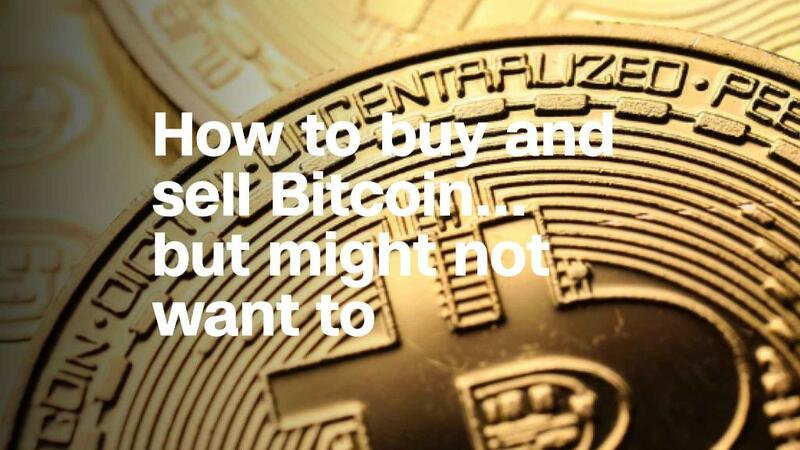 Unlike traditional currencies like the dollar, the creation of bitcoin isn't controlled by central banks. Instead, it's "mined" by computer algorithms that solve increasingly complex math problems. People can earn money unearthing cryptocurrencies from the digital deep by running the mining software on computer systems of varying sizes, a process that requires a lot of electricity. But the industry is feeling unwelcome these days. "It's a hard time for the mining business in China," said Jack Liao, who owns several bitcoin mines in the country. He said in a recent interview with CNNMoney that he's thinking about moving some of his operations overseas, with Canada, the U.S. and Iceland among the top candidates. Liao is the CEO of cryptocurrency mining firm Lightningasic, which is based in the southern Chinese city of Shenzhen. Five other owners of bitcoin mines in China also told CNNMoney in the past month that they were considering moving operations out of the country because of pressure from the government. Most declined to be identified by name for this article due to the sensitivity of the situation. The Chinese government wants cryptocurrency miners to make an "orderly exit" from the industry because their operations are bad for the environment, don't pay tax and can be a fire hazard, Liao said, citing reports in Chinese state-run media. China has shown its willingness to crack down on other aspects of the cryptocurrency industry. It forced exchanges inside the country to shutter trading operations in September. And it's now reported to be moving to block the websites of overseas trading platforms. The Chinese government didn't respond to requests from CNNMoney for comment on its stance on bitcoin mining and trading. Experts say the Chinese government, which imposed controls in recent years aimed at stopping too much money from flowing out of the country, is wary of how cryptocurrencies can enable people to move funds outside of the traditional financial system and potentially put them to nefarious uses. Efforts by governments around the world to take an increasingly hard line on cryptocurrencies have contributed to the recent sharp decline in their prices. After getting close to $20,000 in late 2017, bitcoin tumbled below $6,000 this week. For the people running bitcoin mines in China, the big question at the moment is figuring out where to go. Running a bitcoin mine has a very specific list of requirements. The energy needs are huge for one thing. Digital currency website Digiconomist last year reported that one bitcoin mine it visited in Inner Mongolia used the same amount of power that's needed to continuously fly a Boeing 747. "You need a country that can provide such a big capacity at a reasonable price," Liao said. Miners also want a government that's going to take a hands-off approach to regulating cryptocurrencies. Canada ticks a lot of boxes. The country has cheap, reliable energy sources, as well as a chilly climate. The latter helps servers keep cool to prevent them overheating. Interest from Chinese bitcoin miners is already being noticed in the country. Hydro Quebec, a big electricity supplier in eastern Canada, is receiving "new requests every day" for its services from bitcoin mining firms, said spokesman Marc-Antoine Pouliot. He added that the majority of these requests were coming from China and that demand had "risen significantly" since the end of last summer, when Chinese authorities stepped up their crackdown on bitcoin exchanges. Hydro Quebec has about 30 projects from bitcoin miners in its pipeline, Pouliot said. Hydro Manitoba, a power provider in central Canada, said it had also been approached by a number of North American brokers representing Chinese bitcoin miners in recent months. Among their requirements was the reassurance that their mammoth energy demands could be met and that they could get operations up and running quickly, said Bruce Owen, a Hydro Manitoba spokesman. Unlike more everyday business ventures, bitcoin mining gobbles up energy all day and all night. "There is little time variation in their electric requirements -- it is nearly constant 24/7," Owen said. Other Canadian companies also see potential business opportunities from bitcoin miners' interest in the country. Resolute Forest Products is one of Canada's biggest manufacturers of tissues and paper products. The company, based in Montreal, has "received multiple calls" from bitcoin miners who want to use spare space in its factories, said spokesman Seth Kursman. The company is still in the process of figuring out what kind of services it can provide, he said. 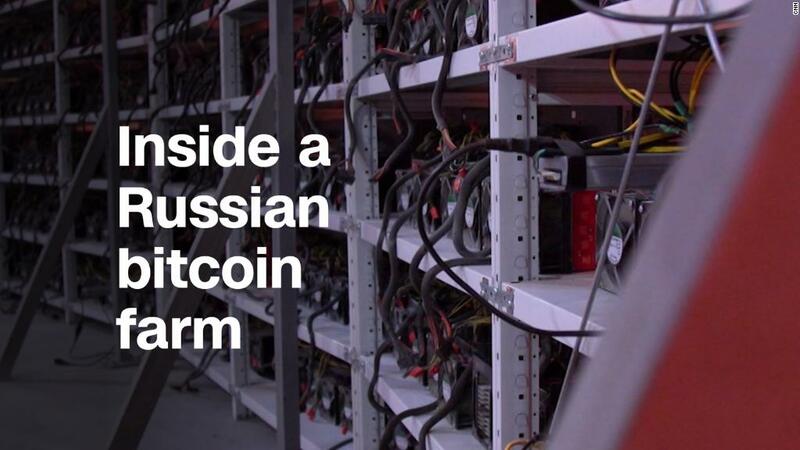 Uprooting an entire bitcoin mine is no easy feat, however. Liao said it can take months to find a new location, buy computer equipment and hire new staff to help you run the facility. The costs can be eye-watering, too. He claimed they can run into hundreds of millions of dollars, depending on the size of the operations. Liao and other mine owners will have to make their big decisions on where to go while watching bitcoin's volatile price rising and falling by thousands of dollars on an almost daily basis. -- Serenitie Wang contributed to this report.